Buildings at Monash University Clayton have been severely damaged as many have been flooded by the thunderstorms occurring this afternoon. 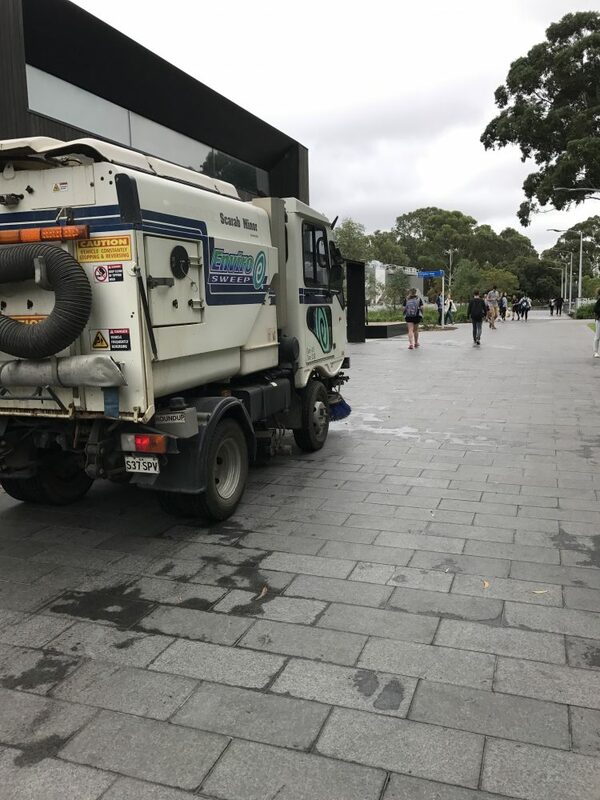 Commonly used areas such as the Campus Centre, Monash Sport and the Rotunda building have all been affected, some requiring evacuations of students and staff members. The Facebook group ‘Monash StalkerSpace’ has been inundated with posts about damaged buildings. 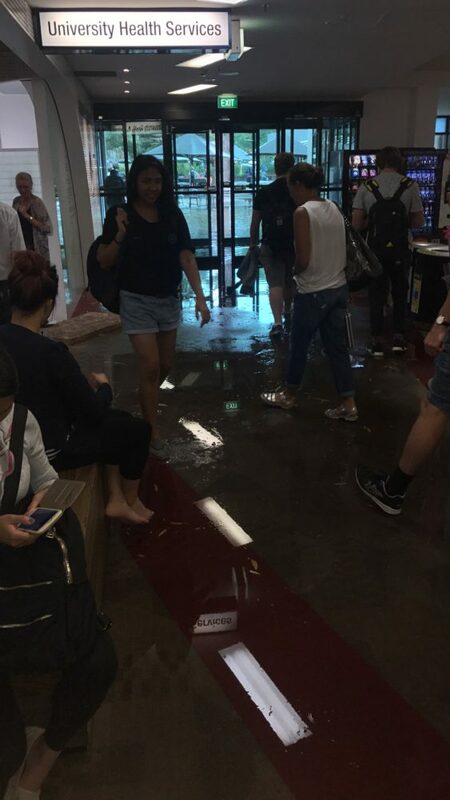 The Campus Centre ground floor has been heavily flooded as students have been forced to bravely wade through the water, many centimetres deep in some areas, in order to access the food and retail precinct, health services or study facilities. Many have been unable to escape without sopping wet shoes and socks after taking cover from the tumultuous weather, one of the first rain soaked days after a somewhat extended summer. This has been due to a combination of roof leaks and water rushing in from outside the sliding doors. The first floor has also been heavily impacted, as parts of the panelled ceiling at Wholefoods have collapsed due to the water leakages. There is also a significant leak near the stage at Sir John’s Bar causing tonight’s organised Queer Karaoke to be postponed to next week. A part of the Monash Sport building roof has also caved in, again likely owing to the water pressure on ceiling panels, therefore causing people to be evacuated. The centre now remains closed until further notice. An ambulance was sighted outside Monash Sport, however at this stage we are unsure of whether it was only precautionary or not. In an email addressed to patrons, Monash Sport has stated that “due to the large influx of water to the centre, and with a mind for the safety of our members and customers, we have had to evacuate Monash Sport facilities completely. This includes all stadiums, fitness centre, group fitness classes.” The Doug Ellis Swimming Pool remains open but cannot be accessed through the main Monash Sport centre. Updates to the situation and when facilities will reopen will be provided by Monash Sport again via email for users of the facilities. The weather damage seems to have been the worst at around 2-3pm, potentially owing to a particularly heavy storm during this time. This left students to find shelter where possible, grab the nearest umbrella or to run to cover in order to get to their classes or transport to get home. Other affected buildings include the Hargrave Andrew Library with roof leaks, Rotunda as flooding has been caused by water leaking from the light fixtures, and in between the Green Chemical Futures building and the N1 carpark, 9 and 11 Rainforest Walk have also had severe leaks leading to the former being evacuated. Massive puddles formed in a large number of outdoor areas of the university, encompassing many of the walkways, during the thunderstorms as storm drains reached capacity, pointing to issues of a potentially inefficient or overworked drainage system. Machines are being used to soak up the water from the affected areas as the clean up continues. Showers are forecast to be continuing into Wednesday, potentially delaying cleanup efforts. It is yet to been seen how the damaged buildings may affect classes this week, potentially causing relocations where possible. 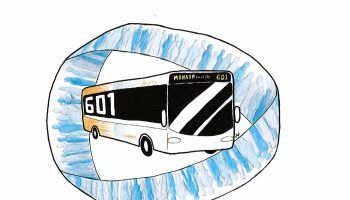 With winter fast approaching, this raises concerns about how Clayton campus is going to handle future wild weather and the perhaps the efficiency of the infrastructure Monash takes so much pride in. The Monash Buildings and Properties Division has been contacted for comment regarding the inadequacy of multiple buildings in handing excessive amounts of rain, whether there will be reinforcements made for the coming winter and the time frame to which the damaged buildings will be repaired. Paul Barton, the Director Business Support for Buildings and Property Division (BPD) stated that all buildings would be safe to enter and use from today onwards as the maintenance team worked hard overnight to ensure that there were no major disruptions to classes. The closure of some buildings was attributed to the need to clean up and make sure the buildings were safe to occupy. Further cleaning is still occurring with some building containing large air blowers to dry the carpets. As for the viability of Monash’s building to handle flash flooding and severe thunderstorms in the future, Barton affirmed that BPD have been improving waterproofing of building and university drainage systems over the years to withstand weather events like the one experienced. 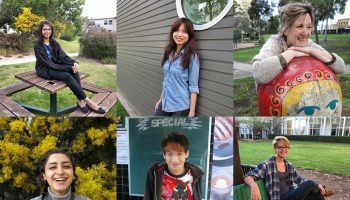 Students at Monash can only hope that the work to weatherproof buildings that have taken place so far and any potential improvements that come out of the investigation following the severe water damage that buildings experienced will hold up with the threat of further severe weather events occurring as we head into winter.